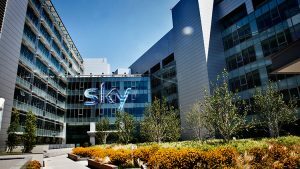 Sky’s independent committee has welcomed the European Commission’s decision at the end of last week to clear Comcast’s proposed acquisition of Sky. The EC concluded on Friday that the deal would realise no competition concerns in Europe. The Commission concluded that Comcast and Sky are “mainly active in different markets” in the countries in which Sky is present – Austria, Germany, Ireland, Italy and the UK – and that the pair only compete with each other to a limited extent, principally in acquiring TV content in the wholesale supply of basic TV channels. Sky’s independent committee noted that “Comcast has now satisfied all of the pre-conditions outlined in its announcement” of April 25. Comcast now has until Friday July 13 to post its offer document to shareholders. The EC found that the acquisition would lead only to a limited increase in Sky’s share of the TV content acquisition market and the wholesale supply of TV channels. In relation to whether Comcast would be able to limit access by Sky’s competitors to its films and other TV content and channels, the EC found that this was not of concern as distributors would have access to content from Comcast’s competitors and multiple alternative channels. The Commission also found that Sky was unlikely to cease purchasing Content from Comcast’s competitors as this would reduce the quality of its offering. The EC also found that any danger of Sky shutting out competitive channels was mitigated by existing regulations in the UK, Germany and Austria, by the fact that many of these competitors already have long-term contracts in place and by the fact that they are “not dependent on Sky’s retail platform” for distribution. The Commission has already cleared 21st Century Fox’s competing bid to acquire the 61% of Sky that it does not already own.